The Dali Quartet recorded live on WRTI, May 23, 2018. The critically acclaimed Dalí Quartet brought the excitement of its signature mix of Latin American and European classical and romantic music to the WRTI 90.1 Performance Studio on Wednesday, May 23, 2018. They performed LIVE and chatted with WRTI’s Susan Lewis. Watch the performance recorded live on the WRTI Facebook page. 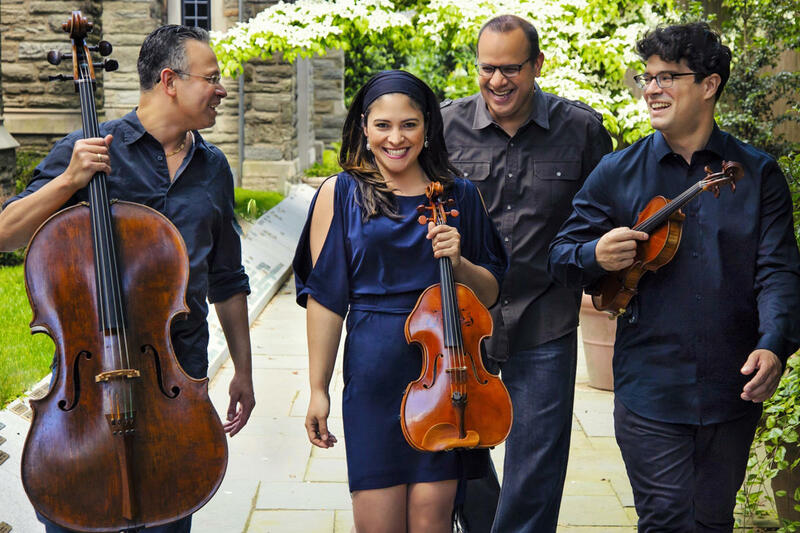 Founded in 2004, the quartet of musicians from Venezuela, Puerto Rico, and the U.S. has been embraced by critics and audiences for its vibrant combination of music with classical roots and Latin soul. The Dali Quartet tours, records and is the anchor for ArCoNet, an expanding network of cross-cultural music education programs just outside Philadelphia. Anchored in Venezuela's El Sistema and American classical conservatory traditions, the quartet is internationally acclaimed for its stirring and evocative performances. 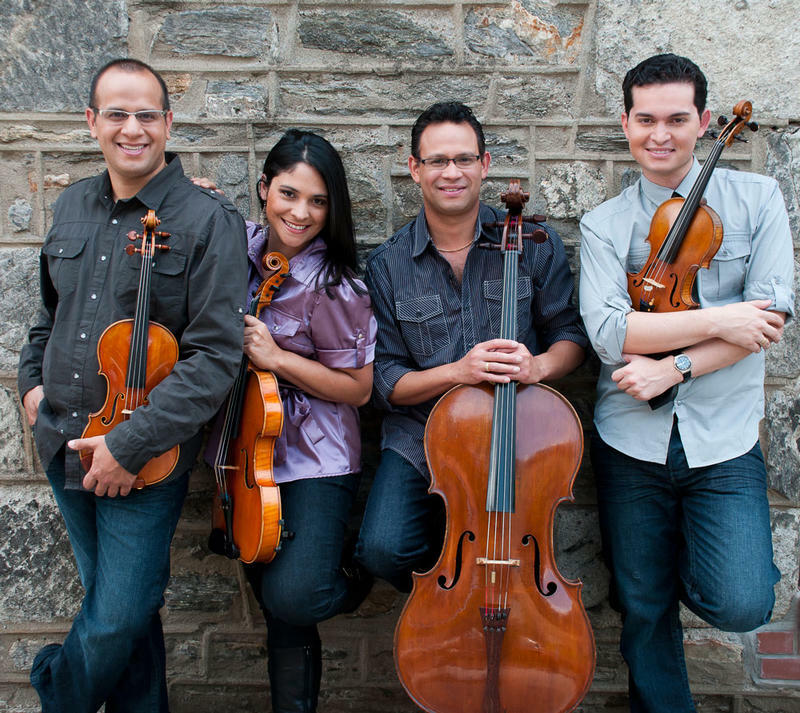 Based in Philadelphia, the quartet brings the Latin-Classical connection to festivals, schools, and concert halls throughout the Americas. Regular collaborators are Ricardo Morales, principal clarinetist of The Philadelphia Orchestra, Van Cliburn Gold Medal pianist Olga Kern, and percussionist Orlando Cotto, among others. The Dalí is an IRIS Orchestra Resident Ensemble and the 2018-2019 Ulrich Quartet in Residence at Lehigh University. This year, the Dalí joined the faculty at West Chester University as its Resident String Quartet. The 2018 Annual Dali Quartet International Music Festival, which takes place from July 27th to August 5th in North Wales, PA, draws musicians from all over the U.S., Brazil, Ecuador, Colombia, Venezuela, Korea, Bulgaria, and Puerto Rico. Coaching and master classes are led by members of the Dali Quartet, guest artists, and the teaching artists of ArCoNet. More information about upcoming ArCoNet concerts and programs. Classical and Latin American music are flourishing in North Wales, PA, where professional chamber musicians share their music and culture with students from near and far. WRTI’s Susan Lewis has more on the Community Arts Network called ArCoNet – which this week is hosting its annual Dali Quartet International Music Festival.